Leslie's Loops Craft Corner: Yaaayyy! 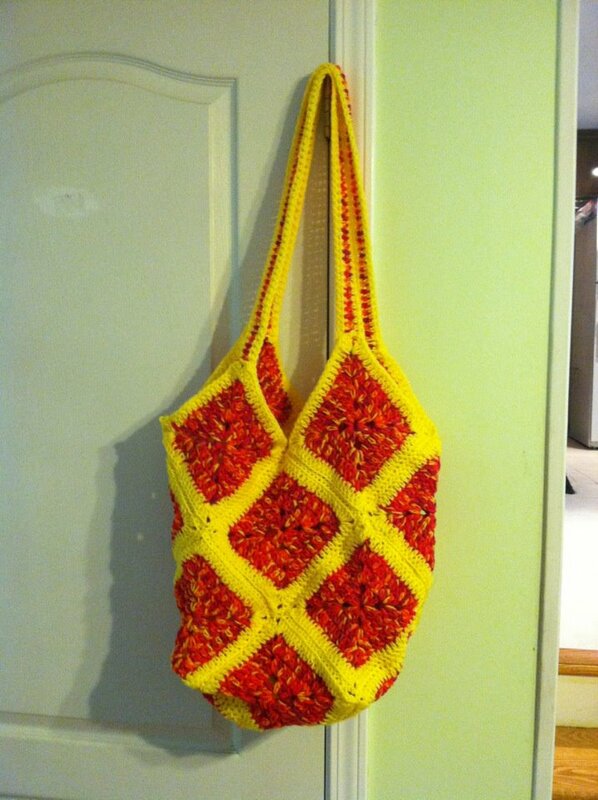 I finished it today - my tote bag! It will work great as a big beach bag to carry towels and other essentials. I love the color... reminds me of summer. I still have to place a lining in it, but I'm not sure what color yet - orange or yellow. There are some specks of pink in it, but not enough. I'm going to make a smaller one as well - one that I can use as an every day bag.